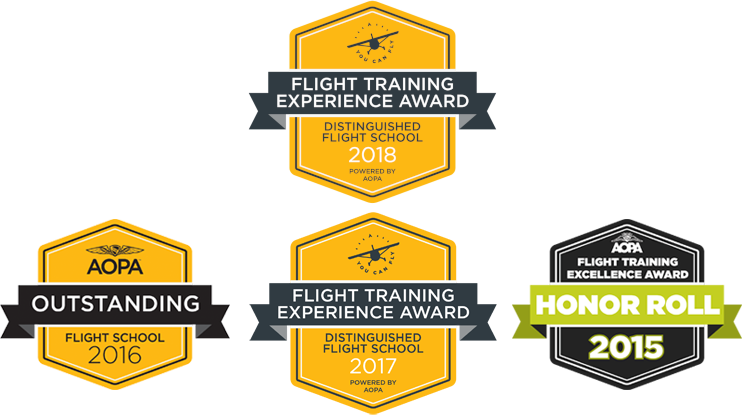 Our instructors and company have been recognized by the Aircraft Owners and Pilots Association multiple times including flight training awards in 2018, 2017, 2016, 2015, and 2013. ​ Contact us now to start pursuing your dream! Periodically, we also offer drone / UAS seminars to prepare you for the FAA Part 107 knowledge test.